Nearly a century ago, Maria Montessori pointed out that it was a grave error to think of purposeful movement as something different from the higher functions of the mind. Recent research now shows that movement and cognitive development are indeed closely related. As Montessori educators, we recognise that children have an need to engage in movement. Purposeful movement is at the center of the Montessori approach to early childhood education, as it confers emotional, intellectual and physical benefits. If you watch a Montessori environment closely, you will see coordinated movement is everywhere: be it carrying materials carefully, balancing on narrow beams, or carrying and moving chairs without any noise. As children spend time in a Montessori school, they learn to coordinate their body and place it under the ready control of their mind. While some may think that Montessori environments place a premium on “work”, it is important to remember that free choice can include an option to choose free play at appropriate times — much like these children have chosen! 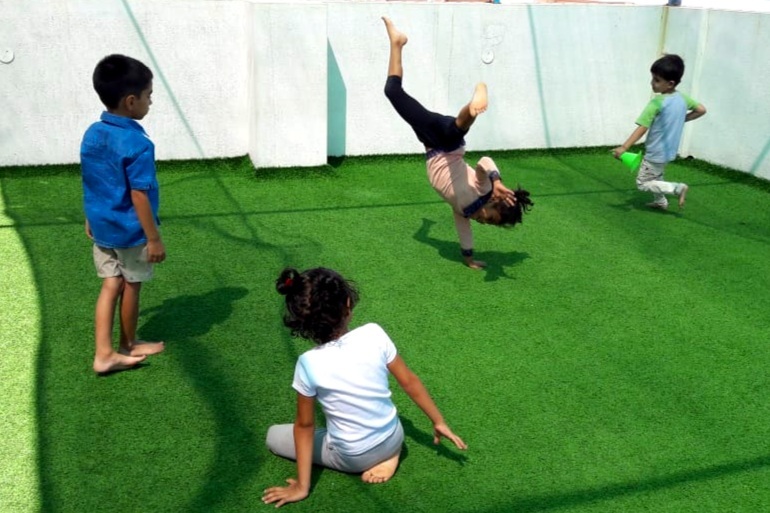 Research shows that free play in schools has numerous benefits linked to children having an outlet for their energies, building physical capabilities, as well as an unstructured opportunity to build social skills in group settings. As the great child psychologist Jean Piaget once said, “It is through game playing, through the give and take of negotiating plans, settling disagreements, making and enforcing rules, and keeping and making promises that children come to understand the social rules which make cooperation possible."